Now that Term is over and the last of the exams are done, we would like to remind readers that this year we will be reducing our opening hours over the summer. This Saturday, July 1st, will be our last Saturday until October 7th, and during the week we will be open from 0900 until 1700, Monday to Friday. Readers who wish to consult books on a Saturday may discuss this with library staff, who may be able to move some material to the Sackler. This will be limited to confined books – readers will be expected to borrow books which can be borrowed, as long as they have the correct borrowing rights – and we reserve the right to refuse if the numbers of books being moved become unmanageable. Please give adequate notice that you wish to transfer books for use on Saturday (i.e. please don’t come to the desk at 4.55pm on a Friday with a massive mountain of books – this will not be appreciated!). Following all sorts of rumours about the imminent building work, the final version for 2017 appears to just be for some preparatory work to take place in the Oriental Institute basement. This will be taking place between the 21st and 28th July inclusive. Due to the nature of the works, the Library Basement will be inaccessible to everyone, even library staff. This is because the fire exits are to be sealed – the work will not be in the library itself – which means we cannot risk going down there for Health and Safety reasons. 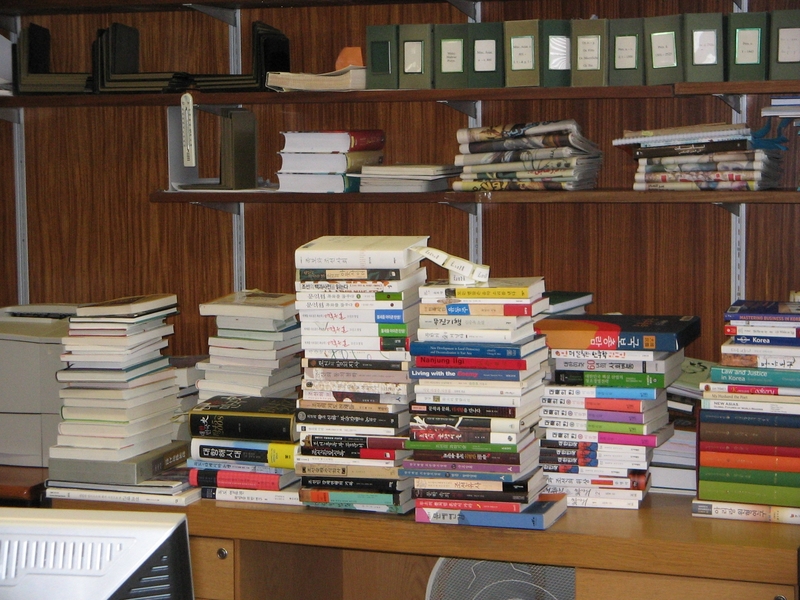 Readers who wish to consult books from the KSL, Hebrew & Jewish Studies, South Asian, and Eastern Christianity sections are strongly advised to either move them up to a desk in the ground floor space or to contact staff in advance if they are coming that week so that we can move them for you. If anyone is aware of a potential visitor who might need these books during the closure period, do please let them know about this; we have informed our colleagues in Special Collections at the Weston Library in case they are expecting academic visitors who might need access to our collections. During this time, the Common Room and the toilets will also be out of action. Kate, who has now reduced her hours to two afternoons a week (Tuesdays and Fridays), has begun moving the LC books into space vacated by the reclassified PJ section, and also the Z.Per. periodicals which have now been moved round to the same area as the rest of the journals. This will necessarily take some time, but she intends to keep the shelves updated with handwritten notes until the move is finished. We apologise in advance for any confusion this may cause! This entry was posted in Building Works, Eastern Christianity Library, Japan/Korea Collection, Jewish Studies Collection, Opening Hours, Re-organising the Library on 30 June 2017 by katieguest. The start of a new Term always seems to creep up on those of us who are here in the Library all year round; the sleepy quiet of the summer months being swept away by the influx of readers. September ends with a whimper and suddenly we are busy again! This week marks Induction Week at the Oriental Institute Library; with graduate inductions having already mostly taken place and the Undergraduate Induction and Library tour taking place late Friday morning. 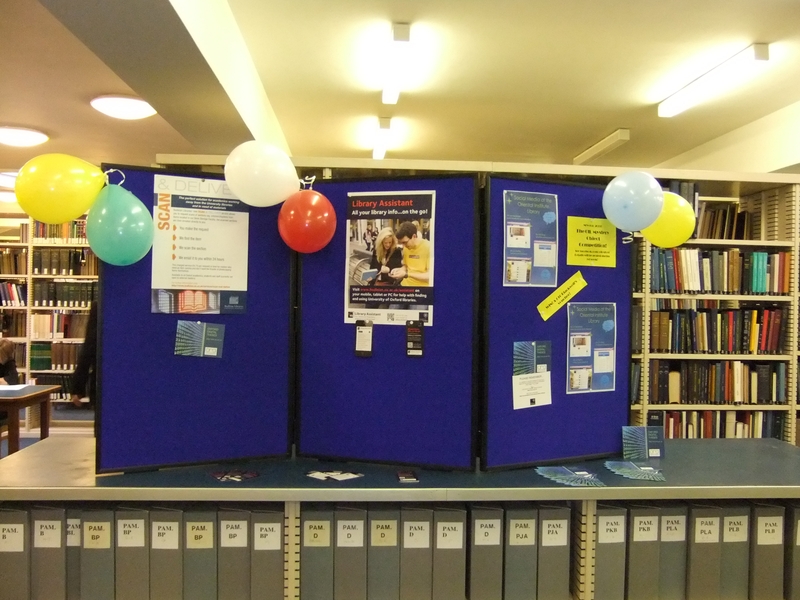 We urge new users (and readers of this blog) to take advantage of these opportunities to meet the staff and to be shown round the library; we know you will have questions later, but for now it is just good to know we’ve told you roughly where the books you need are and how to access them! So… what’s new? Lots of things, actually! 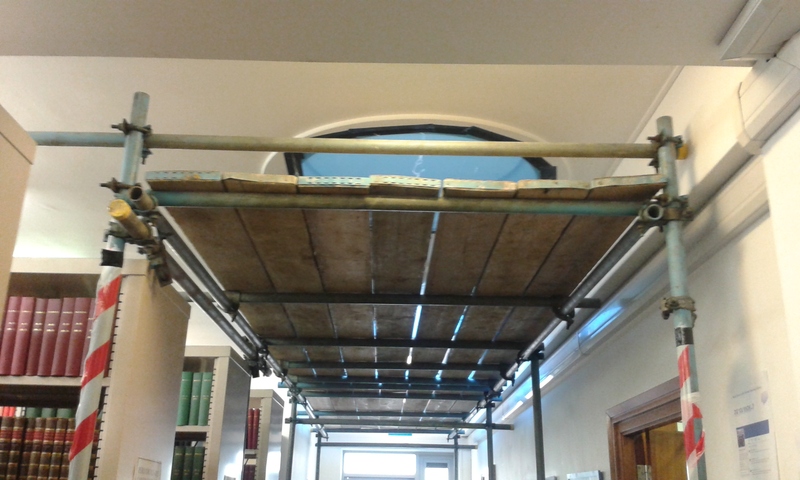 The skylights in the library and the office were replaced over the summer, necessitating some disruption, mainly to the staff office, which had to be emptied for a number of weeks. The towers under the skylights in the library came into their own when one of the builders fell through the hole (amid much swearing) having tripped on the roof, so it was worth having them there, and the work itself was carried out from above, which lessened the dust and general unpleasantness for those of us beneath. At the end of the summer term we rearranged the periodicals into a slightly tighter arrangement in order to make some space for other materials on the ground floor, while at the same time moving the KSL (Korean Studies Library) books into the space vacated by the Japanese books which moved out earlier in the year. The area where the KSL books were is now a temporary home to a number of Taylorian periodicals which have been moved here to make space for the Slavonic and Modern Greek material which moved into the Taylorian; the Indian Institute Government Publications still occupy most of the rolling shelves downstairs, while the other Indian Institute material is now up on the ground floor just opposite the photocopiers. (Phew!) Everything is labelled; if you can’t find anything please ask a member of staff – we have updated our map of the collections accordingly. The Library of Congress material has been moved round again by Kate into the space she made since her last move, so books may be in a slightly different area than they were; the shelf labels are up to date and Kate is currently working her way through the DT section in the corner near the reader computers. In the last year, a total of 2388 items, representing 1993 shelfmarks, were reclassified and reshelved into the proper sequence. Kate is hoping to get past 2000 shelfmarks in the next year, but isn’t promising anything! We now have a sale trolley, to be found just inside the door in the Front Office, which contains duplicates of books the library already holds and other items. Unsold books will be sent to Betterworld Books for resale, but we thought we would give readers the opportunity first. Hardbacks cost £3, paperbacks £1.50 and multiparts are 50p each. Lydia is adding new things regularly, so do feel free to browse. As mentioned before, undergraduate inductions take place on Friday 7th October, so there may be more noise in the library during that period. We would like to remind readers that food and drink (with the exception of water in bottles) are not permitted in the library – there is a common room downstairs for that purpose. Finally, there may be a few more readers than usual for a while this Term as the Muller Library, which suffered a small fire on the upper floors of its host building on Walton Street in August, is still to re-open. Please check their webpages (http://www.ochjs.ac.uk/mullerlibrary/) for more information, in the mean time staff are able to bring books round to the Oriental Institute for readers to use and Muller materials held at the BSF may be ordered here. This entry was posted in Building Works, Japan/Korea Collection, Jewish Studies Collection, Library of Congress Collection, News, Re-organising the Library on 5 October 2016 by katieguest. During March, the Japanese Collections at the Oriental Institute Library have been moved to the Bodleian Japanese Library. This includes the Short Loan books, the books under the Library of Congress classification, and the majority of the collection, which was housed downstairs. The decision was taken by the Committee for Library Provision in Oriental Studies – subcommittee on Japanese Studies to move the books from OIL so that all the Japanese material would be accessible in one place. Meanwhile, readers who have borrowed Japanese books may return them to OIL and we can transfer them to the BJL, or may just take them straight to the BJL. Kate is currently undertaking one of her epic bookmoves, moving the books in the Library of Congress section into the space most recently vacated by those books reclassified since the last move in September of 2015. She is currently in the DS section on the back wall of the Library and hopes to take no more than another week (bearing in mind she works 3 afternoons with us and is elsewhere in the Bodleian the rest of the time) to finish up to the As. Please bear with us while this work is taking place. Care is taken to make sure that not too much noise is generated by the occasional toppling book, but some disruption is inevitable so we try to use the vacations when there are fewer readers around to do this kind of moving. SOLO will have limited availability from 5pm on Friday 8th April until 9am on Monday 11 April. The silver lining is that online access to electronic resources will be unaffected. A short post this month, but with fewer readers due to the vacation it has been rather quiet. We hope to update everyone on the skylight news next month! This entry was posted in Electronic Resources, Japan/Korea Collection, Loans, Re-organising the Library, Services on 6 April 2016 by katieguest. 2015 was a busy year at the Oriental Institute Library, with many changes taking place. Most of these have been behind the scenes so we hope that as far as our readers are concerned things have remained calm and peaceful, but for the staff it has been quite a year! It was early March when the staff of the Library were told of the proposal to close the Oriental Institute Library and move the collections into the Sackler Library. We were told before any other discussions had taken place, in order that we could field questions if anyone heard rumours. Consultations with staff and students were carried out over the next couple of months, with a great number of people expressing to library staff their disquiet at the idea of removing the Library from the Faculty building. Various points were made about the practicalities of moving our collection into an already full library and the problems which might arise for both sets of staff – Oxford is an institution with a long memory, and it is not uncommon for people to come back years after they left and be confused by changes which took place in the interim, so it would not be a case of taking a few months to get used to different materials. We were finally told in June that the proposal had been withdrawn, which was an immense relief to both the staff of the library and our loyal readers – not to mention the Sackler readers and staff who had been as dubious as we were about the idea. We hope to continue for a long while as we are, providing a service which is obviously valuable to the University as a whole. In June we welcomed Vasiliki Giannopoulou to the Library, initially on Thursdays and Fridays, although her role has now expanded slightly to take on extra hours. Vasiliki had previously worked at the History Faculty Library, so her familiarity with the Library of Congress materials was a definite bonus in terms of shelving. She has now been with us for over six months and has settled into the team well. The summer saw a couple of announcements; Dawn Vaux, who had been the Deputy Librarian at OIL since 2004 (check this) told us that her husband had been offered a job in Sydney, Australia, and that she would be leaving the Library at the start of September, while Dinah Manisty would be retiring at the end of September. Dawn’s departure was, naturally, more of a surprise, but we all wished her well and she was given a good send-off at the beginning of September. 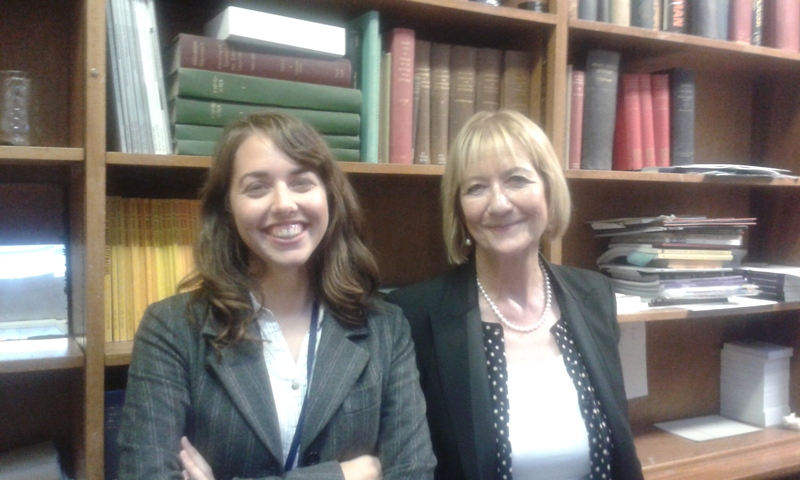 Meanwhile Dinah’s interim replacement as Subject Librarian for Middle Eastern and Islamic Collections is Lydia Wright, who worked for a month shadowing Dinah to get up to speed with the work before Dinah’s departure. As both our senior staff had gone we underwent a bit of restructuring to compensate; Lidio has now taken on more responsibility and Jane Bruder from the Sackler has extended her role to include certain managerial duties at OIL. Both Natalija and Vasiliki have also taken on more hours to increase staffing levels. We hope that readers have not noticed any major change in service provision as a result of these adjustments. At the end of the summer the staff of the Muller Library at the Hebrew and Jewish Studies centre moved some of the books in our collection over to Walton Street as they were deemed more appropriate to the collection there. Readers who find that books they were expecting to be here have moved are advised to check SOLO for new location information. Kate has reclassified a total of 2342 books in the last calendar year. Over the 2014-15 academic year she reclassified 1688 shelfmarks, representing a 2223 items in total. During September she moved the books from the end of the LC sequence into the area vacated by the DS section and is currently working her way along the shelves near the computers. As ever, please check SOLO regularly if you are a frequent user of materials in the area which is currently being reclassified as things will move. Now that Term has begun again we look forward to welcoming our returning readers, hoping that everyone has had a relaxing break. At present the only major change of which we are aware is the move of some of our Japanese books to the Bodleian Japanese Library, but at present we have no timetable for that work and will keep the Facebook page and this blog updated when more information comes to light. This entry was posted in Islamic Collection, Japan/Korea Collection, Library of Congress Collection, News, People, Re-organising the Library, Services on 19 January 2016 by . OIL has seen a change in our staffing this month, as we welcomed Hannie Riley from the Chinese Studies Library, who is now with us on Tuesdays and Wednesdays, while our own Kenan goes to CSL. 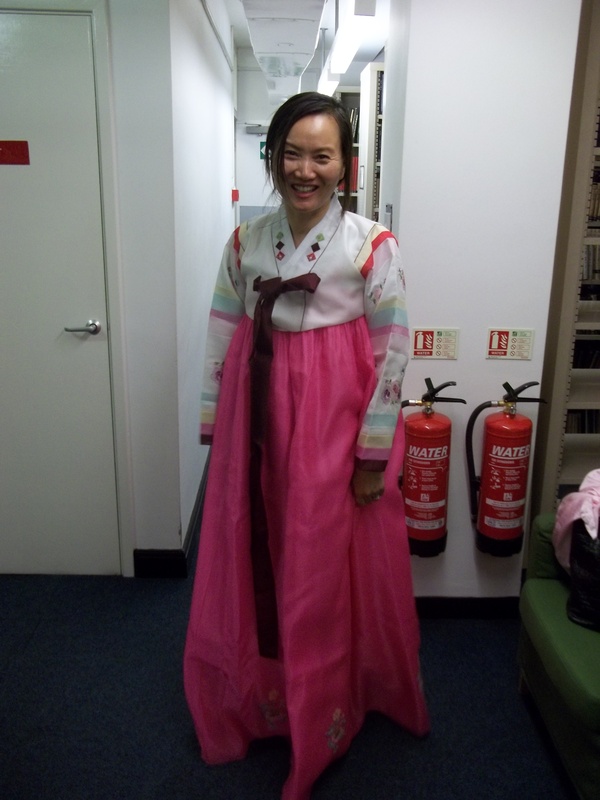 Hannie will be responsible for the cataloguing of some of the Korean materials which have come to us as part of the Window on Korea project, as well as working on the desk. 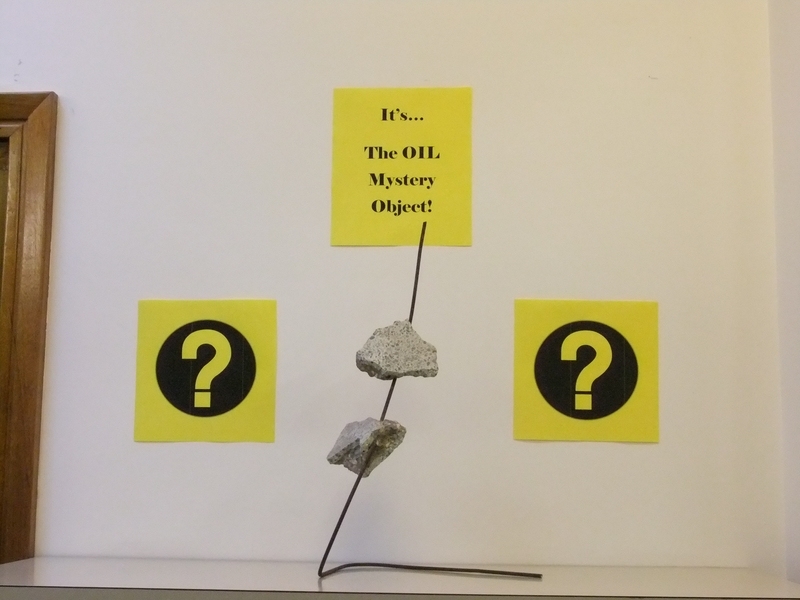 We have had a reasonable response to our Facebook Mystery Object competition, which is now closed for entries. An announcement will come during 8th week as to who has won the top prize of the £10 Blackwell’s voucher, and who has won the runner-up, chocolate related prize. We are able to divulge that someone actually found the correct-ish answer! 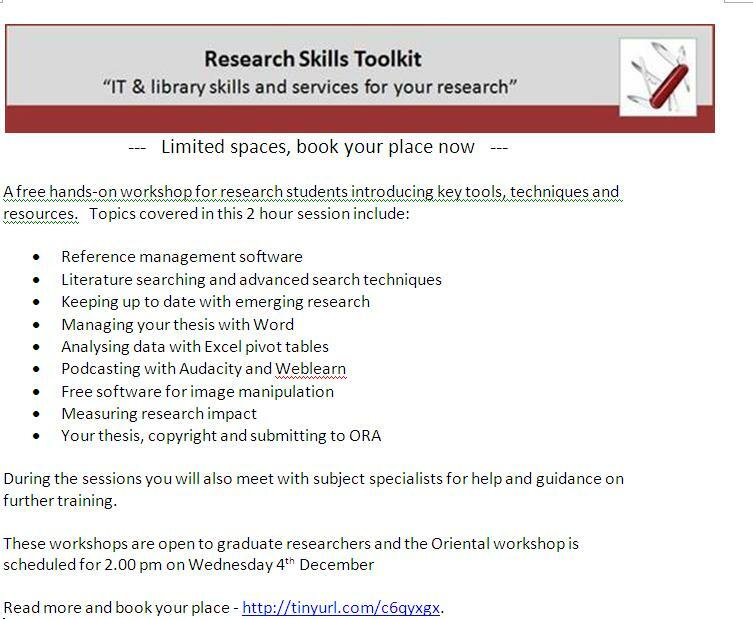 While we’re on the subject, we should urge people to book for the Research Skills Toolkit session for Orientalists which is on Wednesday 4th December . It’s only a couple of hours and you may find something very useful! Looking forward to December, the Library will close for the Christmas holiday on Friday December 20th at 5pm. This is the same day that the rest of the building closes. We re-open on Thursday 2nd January. Vacation loans for library books start next Monday, 2nd December, and will take you though to the Tuesday of 1st Week of Hilary Term – January 21st. Any renewals made on or after Monday will also take this into account. This entry was posted in Japan/Korea Collection, People, Vacations on 29 November 2013 by . 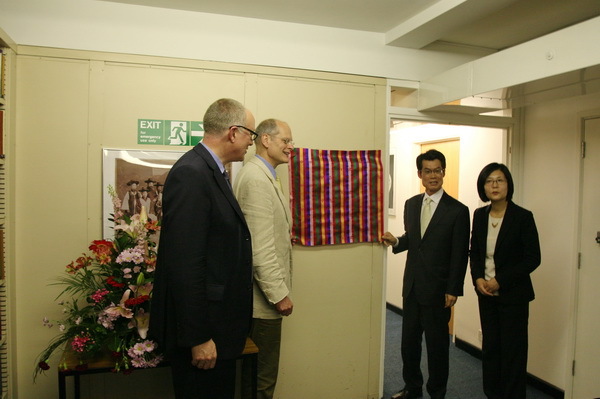 Friday 21st June 2013 saw the Grand Opening ceremony for the Window on Korea (WoK) collection at the Oriental Institute Library. This is a new collaborative project which sees the Bodleian Libraries liaising with the National Library of Korea, to consolidate our existing Korean collections along with a generous gift of over 3,000 new books on Korean subjects – to be added to by further donations over the next four years – in a newly-refurbished area of the Oriental Institute Library basement. 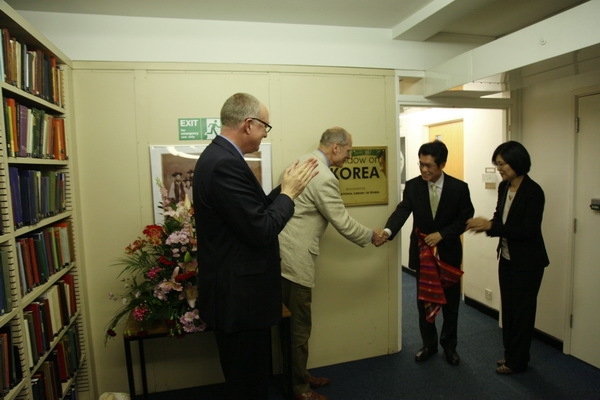 The National Library of Korea also provided some of the funding for the new multimedia seminar room which was built in the basement last summer. As regular readers of this blog will know, the preparations for this event have been going on for almost a year, beginning last summer with the removal of the Middle East Centre books to the Book Storage Facility so that we could make room for the new seminar room in the basement and re-organise the shelving for the WoK books, which have been arriving at the library since the end of 2012. A monumental last push took place over the last few weeks, with several members of staff including Dinah Manisty, Dawn Vaux, Angela Arnold and Ha Yea Riley getting as much of the cataloguing and acquisitions work finished as they could, and the Bodleian Porters did a sterling job of moving boxes across Oxford so that OIL staff could make sure that the books were processed and on the shelves ready for the opening. 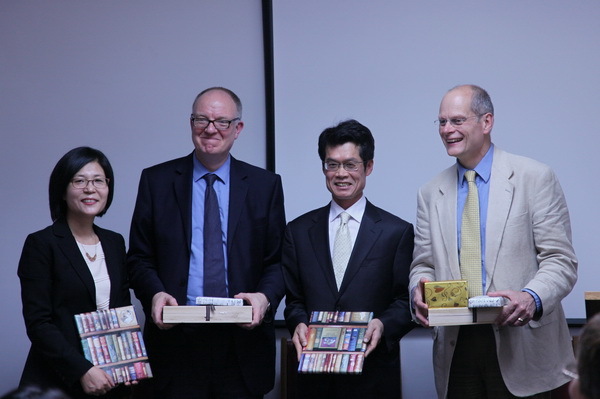 Presentations were also given by the Bodleian’s Head of Humanities, James Legg, and Dr James Lewis, University Lecturer on Korean History, whose speech remembered his initial introduction to Korean studies by the then Keeper of Oriental Collections, Dr Adrian Roberts. 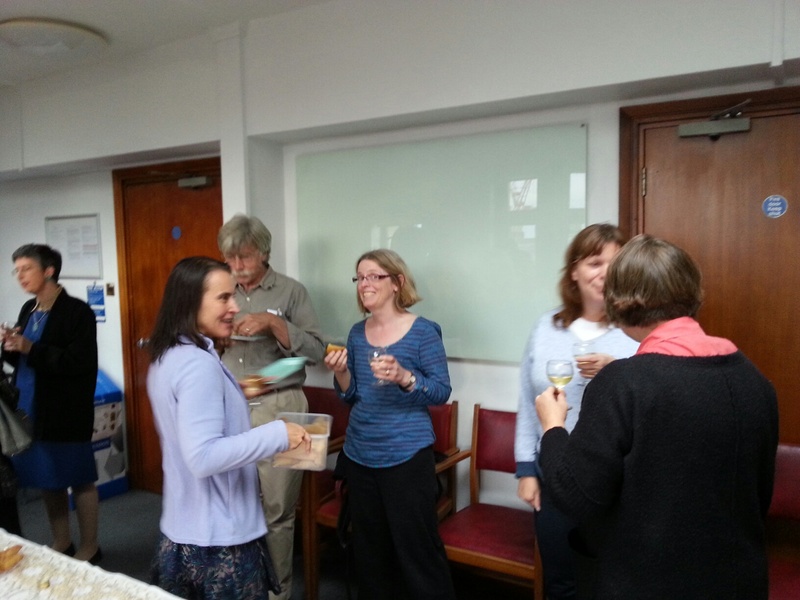 The event was well-attended by many staff from the library and the wider Bodleian Oriental Collections,( although your humble blogger was sadly absent due to a prior appointment.) and has been hailed by all as a great success, and a testament to the hard work of Minh Chung and Ha Yea Riley (who dressed in a stunning traditional Korean costume for the event) as well as Angela Arnold and all the Oriental Institute staff who have been preparing for it for the last few months. As a nice final touch, at the beginning of this week we were delighted to discover that the opening had made the news in Korea! This entry was posted in Japan/Korea Collection, New Accessions, News, People, Re-organising the Library on 28 June 2013 by . FINALISTS! Don’t forget to return your books to the Library or you will not be able to graduate! The reminders for library fines have now gone out; outstanding fines will also prevent graduation, so make sure you have cleared your accounts! As we have mentioned before, you can now pay fines for any Bodleian Library in any Bodleian Library, so there is no need to traipse round all the libraries in turn, but please remember that lost book fees may only be paid to the library which owned the book in the first place. Library staff will be pleased to help if you have any questions. May is a month which always seems to fly by; the two bank holidays being one of the reasons, although of course the Library remained open for those. We also tend to see new readers from different subject areas who find themselves needing to access the Library – Hello to all the History undergraduates who are visiting us! Hope you found us without too much difficulty. Meanwhile the additions to the Library’s Window On Korea collection are continuing with some urgency; the official Grand Opening will be on the 21st June (watch this space for updates and photos!) and the reclassification of the collections into Library of Congress Classification is also progressing. As we have no major moves planned for this Summer Vacation period – unlike last year when we were moving the Middle East Centre books – we hope to make some real progress with the reclassification during the quieter period. This entry was posted in Japan/Korea Collection, Library of Congress Collection, Loans, Uncategorized on 5 June 2013 by . It’s been pretty quiet round here for most of April, with Vacation taking people away, but we have not been entirely idle! Readers will notice that there have been more additions to the Window On Korea collections in the basement, with more books being moved to OIL from the Book Storage Facility, and new additions coming in every week from our offices at Osney Mead, where they are being processed as fast as humanly possible. The Library of Congress books on the ground floor at OIL have undergone one of their periodic shufflings to make room for more reclassified and new books. Most will not have moved very far, but do check the end-of-shelf labels if you can’t find something where it used to be! Now that Term is back in full swing, staff and readers should begin to get more used to the Short Loans procedures for the books kept behind the desk; we hope that this system will enable us to keep that collection as current as possible (after all, what better argument for removing a book if we have evidence that nobody has looked at it for a year, or two? ), and also to keep track of items more easily. A reminder to any who missed the earlier announcements that fines from across the Bodleian Libraries can now be paid in any of the Bodleian Libraries – including OIL – so if you have outstanding fines which you wish to clear do feel free to pay them here! Other charges, for example to replace lost books, should still be paid to the charging library as we can’t administer those. And finally, the sun seems to be shining more often these days (dare we suggest that it might actually be spring?) and readers are, of course, welcome to open windows if they feel they are not getting enough fresh air. The handles are pretty easy to use, but do alert staff if any come loose! Oh, and one more thing: a huge THANK YOU to our fabulous readers who have taken us to over 400 “Likes” on the Facebook Page! We hope that our posts on the unreliability of SOLO and other matters are useful and informative, without being too intrusive. This entry was posted in Japan/Korea Collection, Library of Congress Collection, Loans, News, Re-organising the Library on 1 May 2013 by .